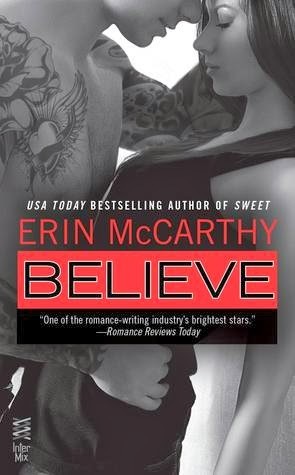 Believe by Erin McCarthy review ~ Love.Life.Read. 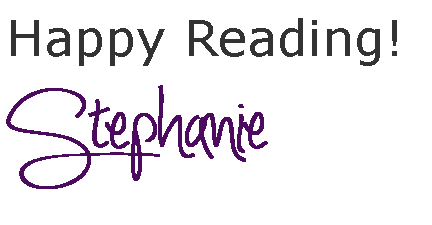 Reviewed from: an ARC provided by publisher--Thank you Penguin!! Ms. McCarthy's new adult series continues with the third book in the series. We saw hints that something happened to Robin in the the second book but we did not know what. We do learn what has happened at the start of this book and from that point on, she vows not to drink and to turn her life around. She sets out to rediscover herself. Phoenix made mistakes as well--the kind that lands you in jail. However, these mistakes may not be what they seem on the surface. He is just trying to move on with his life one step at at time, so the last thing he wants is to really get involved in is a relationship. But, why does he click as well as he does with Robin? I really like Robin and love the searching and growth she goes through in this novel. The one thing I wish, of course, is that she would own up to her mistake sooner but that is what adds to the drama and tension to the novel. Plus, given that Robin is a new adult, part of life is growing and living through life's experiences so I believe that her reaction to the situation is how most would handle it. Ms. McCarthy shows that life has a way of handing us situations that challenge and test the bonds of friendship--some may stand and survive and others may not. We do not how all will work out yet--only the fourth book will answer all of these questions.